Summer and fun seem to go hand and hand. 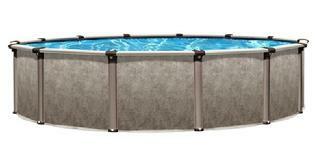 What could be more fun for your family than one of our quality constructed, excellent value above ground pools. 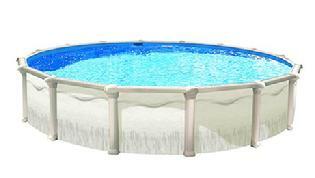 We offer two lines of pools that provide you with the most innovative, attractive and affordable pools in the industry. With any of our above ground pools you can have family fun, relaxation and fitness all with in steps of your back door. Owning an above ground pool adds something special to any event. It provides a place for families to play together and a place where adults will enjoy watching their children have the time of their lives. A dip in your pool after a long day could be just what the doctor ordered. Many amenities once available only for in ground pools such as fountains and fiber optic lighting can now be added to any above ground pool to create your own backyard oasis. With these exciting options its easy to see why so many people are enjoying the outdoors more.